Everything you love about Harvey Park and more! Location, Location, Location. Summer is almost over and this home is ready for your move- in to begin creating your own memories. This charming home has been well kept and well maintained. The new roof was replaced in June and you will see the difference in curb appeal the minute you drive up to the lot! Large front yard is complimented with a decorative concrete patio. Beautiful back yard greets you as you walk out from the fully enclosed sunroom which extends your living and entertaining space all year long! Pride of ownership throughout. Mature trees line the neighborhood* Open floor plan* New bathroom counter tops* Hardwood floors* Refinished Kitchen tile* All appliances included* Ample storage with private workshop + large shed in the back yard. Partially finished basement is plumbed and ready for you to add living space, bedrooms or guest bathroom. 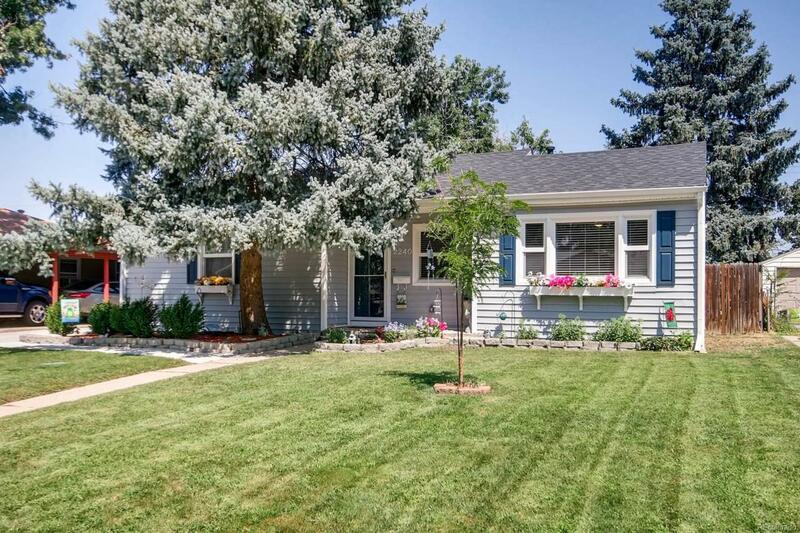 Great opportunity to purchase a terrific home in this established area of Denver!